Any excuse to host a night in with the girls. Graham Norton's highly anticipated gin, inspired and created in a distillery near his native West Cork, is now available in SuperValu stores nationwide. The launch of Graham's gin follows on from his award-winning GN wine range that already includes Sauvignon Blanc, Shiraz, Rosé and Prosecco, and the GN Irish Gin is set to raise the bar even higher. Drawing its flavour from a combination of 12 botanicals including angelica, fuchsia flowers, orris roots, rose hip, basil and liquorice root - this gin is delicious served with Indian tonic, ice and a lime wedge. "We’re still seeing a huge demand for gins and gin sales are constantly on the rise so to have one on our shelves, produced by Graham Norton himself is something we’re incredibly excited about. 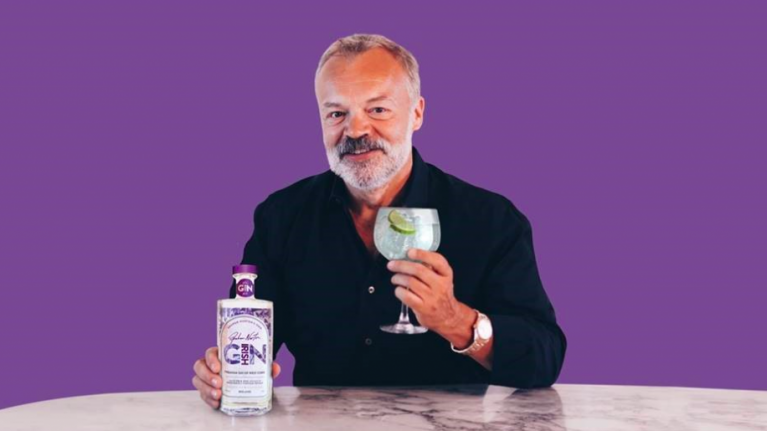 "The Gin market is experiencing strong growth in the take-home gin category with a 44.5% increase in sales over the last year and we believe that Graham Norton’s new gin will certainly add to those figures." "The gin itself is best served simply with Indian Tonic Water, ice and fresh lime to garnish. This ensures the consumer tastes the real essence of this very fine blend. The bottle shape and design really stand out from other gins and I’m confident that consumers will give it a big - Sláinte!" The bottle is also extremely eye-catching featuring the signature purple colour we'd associate with Graham's weekly chat show. GN Irish gin is now available to purchase in SuperValu stores exclusively for €39.